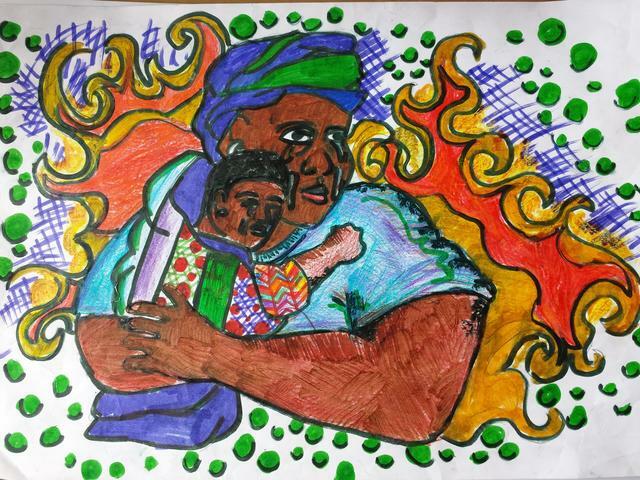 This drawing is about a woman who saves a child from a fire while her husband is away. It is about the love, strength, and passion of a mother for her child. This shows the strength of women and how some mothers will go through tough situations for their children.